Bankers have decided to fight back against 'arbitrary arrests' and 'harassment' by probe agencies. Anup Roy and Advait Rao Palepu report. Bankers have decided to unite and fight back against 'arbitrary arrests' and 'harassment' by probe agencies, in a move that comes against the backdrop of the arrest of the chief executive officer and other senior executives of the State-run Bank of Maharashtra. In an hour-long meeting on Friday, June 22, the Indian Banks Association, the apex banking lobby, decided to meet senior government officials next week and present its case. V G Kannan, CEO, IBA, said the association would provide legal assistance to the embattled bankers even after their retirement. Bankers suggested that the association set up an independent committee comprising senior bank executives to look into the probity of allegations levelled against banks. This panel could be consulted by law enforcement agencies before taking any punitive action, they said. The country's top lenders strongly protested the sudden arrest of Bank of Maharashtra Managing Director and Chief Executive Officer Ravindra Marathe, Executive Director R K Gupta and Zonal Manager Nityanand Deshpande in connection with a soured loan given to real estate developer D S Kulkarni. Among others arrested were the bank's former chief managing director Sushil Muhnot, Kulkarni's chartered accountant Sunil Ghatpande and Rajiv Newaskar, vice president of the engineering department at Kulkarni's firm. Sources said the bankers held discussions with Chief Minister Devendra Fadnavis late on Friday night about the arrest of BoM executives. The department of financial services is also looking into the issue. The Pune police arrested Marathe on Wednesday morning when he was returning from yoga classes. Kannan said the bankers were not given any notice. They were presented before the court and straightaway arrested under the Maharashtra Protection of Interest of Depositors Act, he said. However, the "Act is not applicable for bankers," he said, adding that according to Reserve Bank of India guidelines, "any loan fraud of above Rs 2.5 billion has to be handled only by the CBI (Central Bureau of Investigation). We are unable to understand how arrests have been made by the state police." 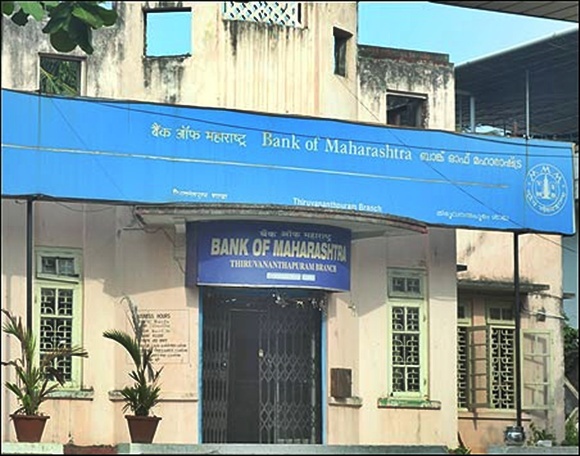 The bank had a long association of over 20 years with the company, and a consortium of lenders had extended a loan of Rs 6 billion to the group, in which Bank of Maharashtra's share was Rs 1 billion. Recently, the bank had released a short-term loan of Rs 150 million, but it had also recalled the loan. However, the Pune police "rushed in to arrest" the bankers. "The entire episode is unfortunate and is a cause for concern for bankers. The IBA has decided to lead representations to the highest authorities within the government with a memorandum by senior bankers from the industry," the IBA CEO said in an interaction with the media. However, the concern now was that simultaneous investigations by different investigative agencies are being conducted on the same transactions, affecting normal functioning of the banks, Kannan said. "The economy has bigger issues, and many internal factors lead to NPAs. Just because a company goes into NPA, it is not fair to blame bankers (for this)," Kannan said. "The entire banking community is backing Bank of Maharashtra," he said, adding there was now "an element of anguish and to some extent, bankers are demoralised as they are being pulled out over short notice." During its meeting with finance ministry officials, a date for which is yet to be decided, the IBA will put forward recommendations of bankers, including increasing their insurance covers that provide a security against legal fees for investigations and fraud.